Baby on the for Porsha Williams and Dennis McKinley! The 'Real Housewives of Atlanta' star is pregnant; she is expecting her first child with her loving boyfriend, multiple sources have confirmed. The reality star, 37, took to Instagram on Wednesday, September 19, to announce her pregnancy news, with sharing a photo of herself in which she shows off her growing baby bump. She wrote in the caption, "I am happy, healthy... and pregnant! #BabyMckinley #DM #Blessed *Check out our full baby story in @People Magazine on newsstands Friday #TheMckinleys *Love you all thank you for your support and warm wishes it means the world to us!"
? ?I am happy, healthy... and pregnant! #BabyMckinley ???? #DM?? #Blessed *Check out our full baby story in @People Magazine on newsstands Friday?? #TheMckinleys *Love you all thank you for your support and warm wishes it means the world to us! ?? According to PEOPLE, the television personality revealed her pregnancy news to her boyfriend on his birthday back in July. The pregnancy came from the left, but it definitely has brought us closer together. Because you realize, when it sets in, that you are actually bringing a life to this world—that you have become [a] family overnight. So, now a lot of the things that we had talked about are a reality, and we work really hard at wanting to be a good couple and build a strong foundation for our new family that we're going to have. Porsha, who suffered a miscarriage about six years ago, is "excited" about being pregnant, however, she says she is worried about getting another loss. I've had a miscarriage before in my past, which I've also been open about because I suffer with fibroids and had to have a myomectomy. So just the fear of, 'Is the baby going to be okay? Will I make it full term?' All those questions that you ask if you've had a miscarriage before. I was really devastated following the loss of my first pregnancy, not just a physical pain, but an aching sense of loss and loneliness like my body had let me down. Feeling sorry for myself, I did my research and discovered the U.S. National Institute of Health reveals at least 25 percent of women suffer from uterine fibroids. As many as 77 percent of women may not even know they have them, because there are no symptoms, which is why I had no clue. I will faithfully continue to stay prayerful that I will become a mother for the second time. After teasing her beau to listeners on her Dish Nation radio show, Porsha debuted her relationship with Dennis, 38, on Instagram in June. Porsha Williams was previously married to Kordell Stewart, a former NFL player. They were married for two years before announcing their split in 2013. After finalizing their divorce, she briefly dated her ex-boyfriend Todd Stewart. 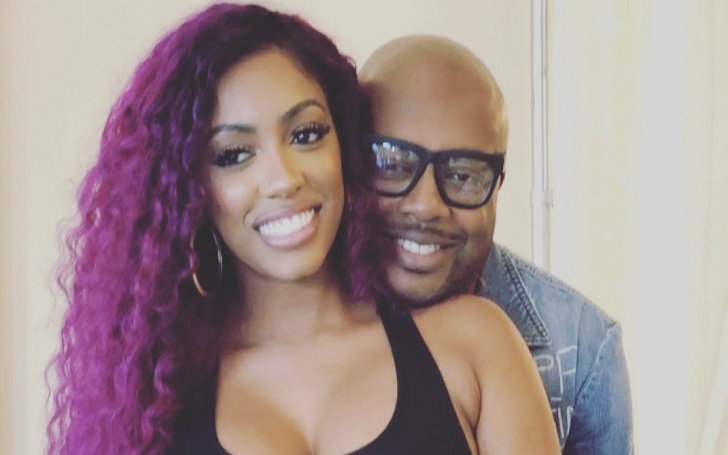 Porsha is not the only expectant in 'RHOA'; Kenya Moore is also pregnant with her first child with her loving husband Marc Daly. Additionally, one more RHOA star Shamea Morton and her husband Gerald Mwangi are expecting their first child, a baby girl together.